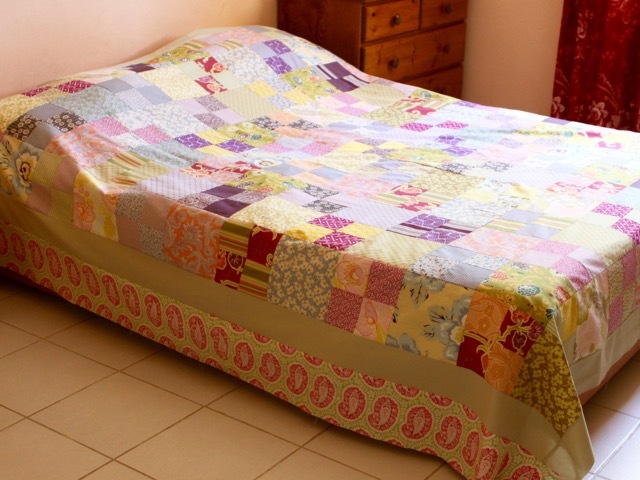 These days I am still adding borders to enlarge my Gypsy Four Patch quilt top to fit my bed. Unfortunately I had no fabric enough to cut stripes properly : following the prints of the fabrics. Well... let's say it is boheme style! You can see this quilt top before borders were added here. Seriously I didn't notice that! 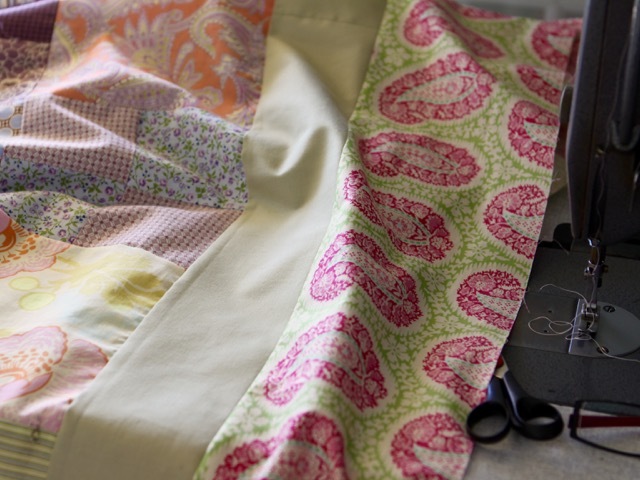 Just don't mention it...:o)) LOVE your quilt! 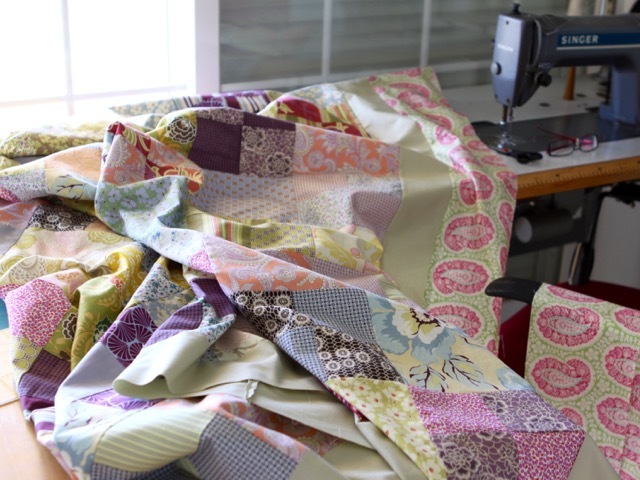 Your fabrics are wonderful and really shine in this quilt! It's perfect! I prefer the slight irregularity of the border. It makes the quilt more lively. It's a beautiful quilt. 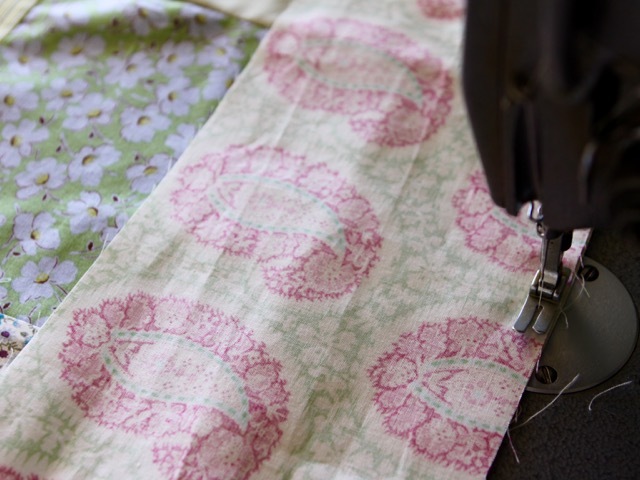 I'm looking forward to seeing it all quilted someday. I like it, it has lovely flair! Ton ouvrage est plein de poésie et d'originalité ! Looks lovely with the borders and you suggestion that it in the boheme style is brilliant! It is lovely! To me, the bohemian borders add a quirky, make-do appeal! Looks great. If you hadn't mentioned it, I wouldn't have noticed. Patchwork is anyway all sorts of pieces. C'est très bohème mais c'est une réussite ! Bravo Christine j'aime beaucoup ! I love bohemian style! And this is fabulous, Christine. Un très joli quilt Christine.bravo!